Hello, lovelies~ Ever had one of those days when you don't have the time to wash your hair, but needs it to look proper? Yup, I do. Lots of times since I have an oily scalp combined with fine hair that will show the limpness even at the slightest presence of oil. I would usually wash only my bangs because that's where the limp, lifeless hair appears. Another option would be dusting a little baby powder on top, but this gets powder everywhere. 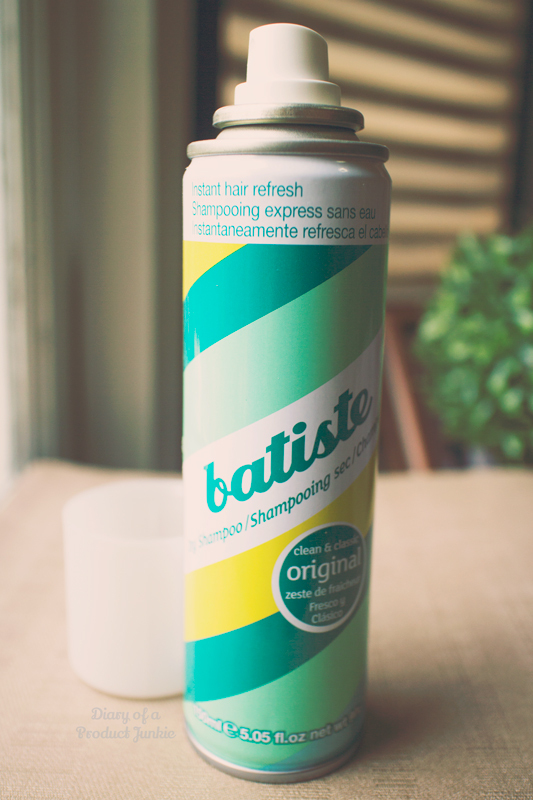 The last resort is to use a dry shampoo like the one underneath, Batiste. Dry shampoo is a product that helps reduce any excess oil on the scalp, so the hair won't look lifeless and limp. This is the first dry shampoo that I tried back in 2010 when I first started delving the wonderful world of beauty products. It may look like a can of hairspray, but it does more than just give fabulous looking hair. The white nozzle on top, when pressed, will omit a powder-like consistency that gives hair the volume it needed during those limp hair days. 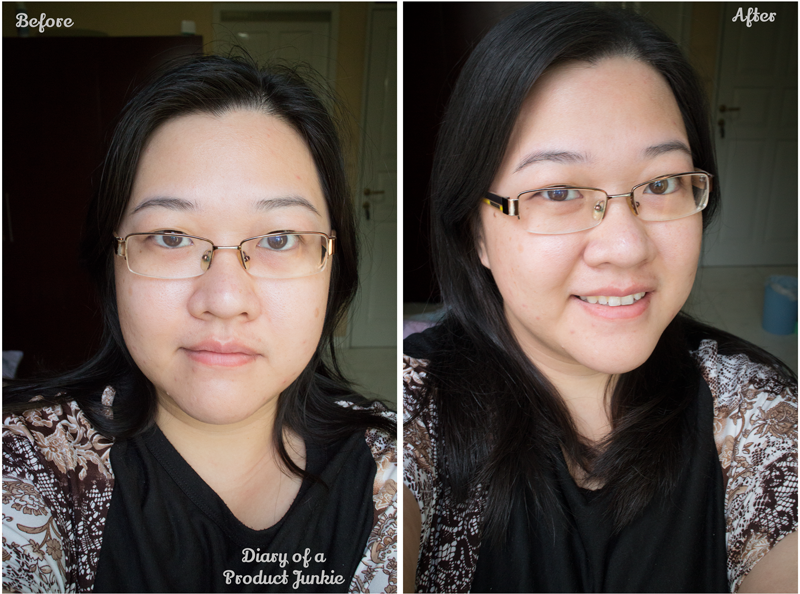 On the can, there are pictures on how to use dry shampoo if you're just starting out. Basically, it requires you to hold the can approximately 15 cm from your head when you spray it to your hair. Focus on the scalp because that's where most of the excess oil lurks. Results are quite remarkable as it is able to turn my oil-loaded hair that looks like a nightmare to a somewhat descent fresh out of the shower hair. Don't believe it? 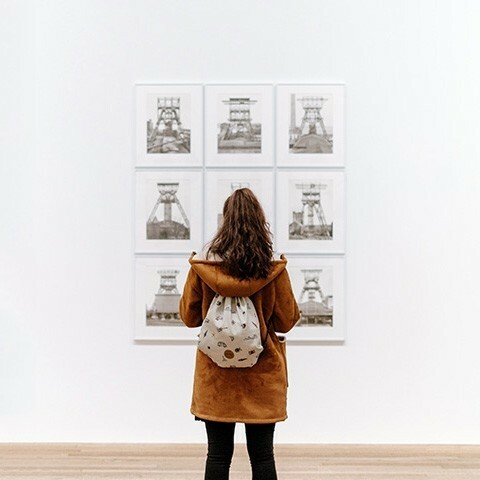 See it for yourself! his is what it looks like halfway during brushing to get any excess dry shampoo off. This, of course, doesn't replace washing your hair the regular way with water and shampoo. However, it is pretty nifty when I don't have time for a proper shampoo session. If you've used hairspray before, then this won't be hard for you. It leaves a subtle powdery scent that counters the natural oil scent from the scalp. It sorta neutralizes it. One of the things that I find tricky to get the excess dry shampoo off my hair. I really need to brush it off in order to avoid looking like I have powder all over my hair. I usually use a paddle brush for this process. 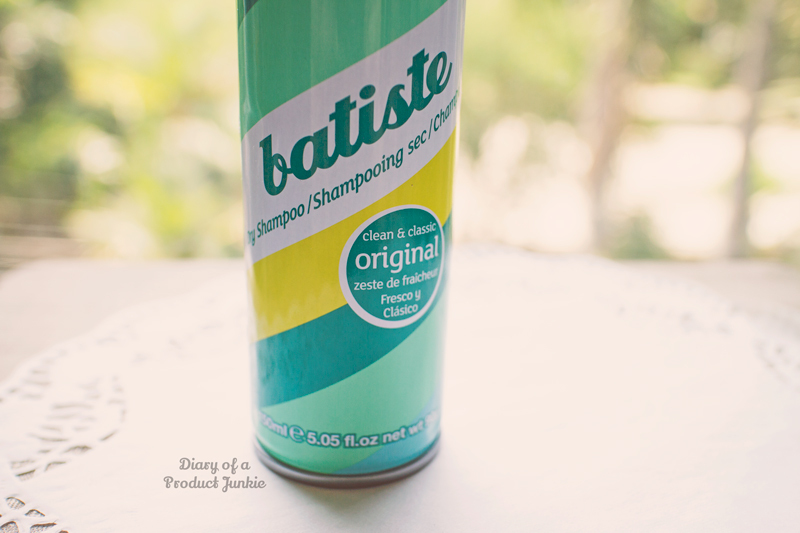 I got this dry shampoo from AnnaBelleClosett, an online shop in Semarang that carries most Batiste products. To see more of her shop, you can go to the information down below. 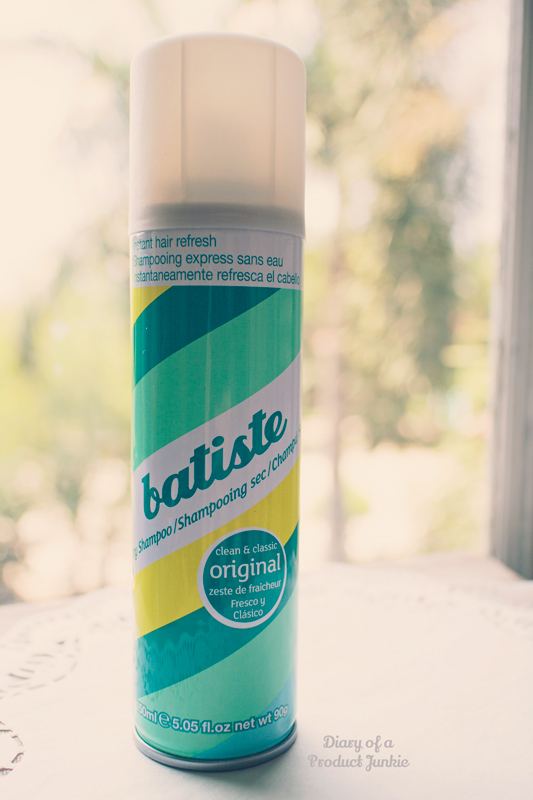 Click here to get Batiste Dry Shampoo!